Yes, we mean envest with an ‘e.’ It’s our word for investment with an entrepreneurial slant – experiential, engaging, and focused on excellence, in short, the essence of ownership and leadership in the outpatient ophthalmic surgery sector. 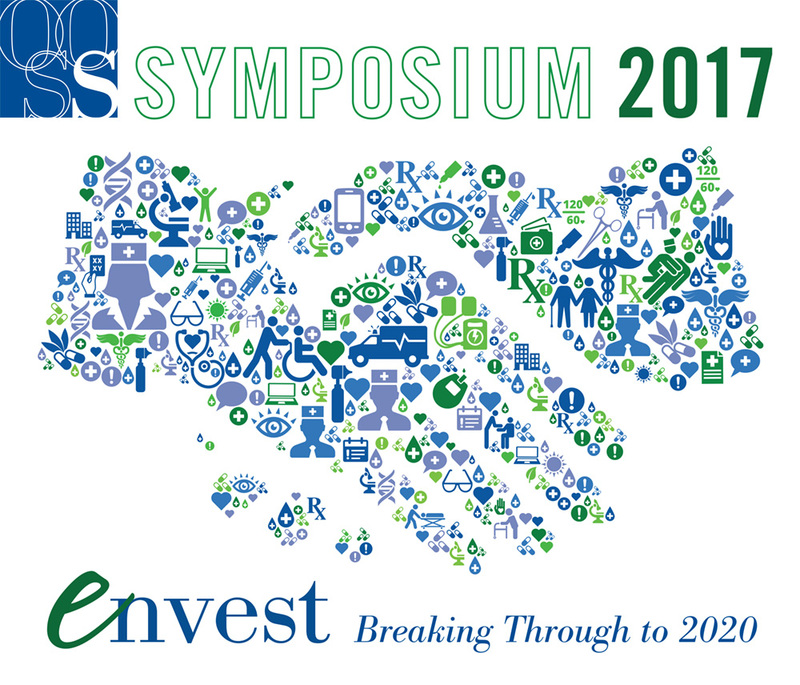 We invite you to engage and envest in OOSS Symposium 2017 as our experts explore ground-breaking approaches and barrier-busting initiatives to boost quality, innovation, and productivity. Keynote speaker Elizabeth Nelson, a pioneering scientific researcher in biomedical engineering and author of The Healthy Office Revolution, is shaking up work environments on two continents with her data-driven, technology-led, and people-centric approach to building better ecosystems for business and industry. Our panelists will join Nelson to discuss pragmatic and cost-justified approaches for improving the ophthalmic ASC environment. And as always, we’ll have the latest on important OOSS initiatives, including accreditation, and a D.C. debrief with the inimitable Mike Romansky, J.D. After our OOSS Community Luncheon, we’ll roll up our sleeves for Envision the Future, a 2020 workshop tailored to the interests of clinical and business professionals. Workshop participants will be grouped by interest. Attendees will be invited to complete a brief survey to assess the ophthalmic ASC work environment. Results will be shared at the Symposium and used in the afternoon workshop. An added feature will be the introduction of the OOSS Scholars Program for young ophthalmologists, including introductions of new OOSS Scholars and Presidential Scholarship Award Recipients. The OOSS Scholars Program is a partnership of OOSS, the American Academy of Ophthalmic Executives (AAOE), the AAO Young Ophthalmologist (YO) Committee, and AAO/AAOE. The program was conceived to support and mentor young ophthalmologists who are interested in future use and ownership of an ambulatory surgery center. Offered in coordination with the AAOE and the AAO YO Program/AAOE Young Ophthalmologists Program, the OOSS Scholars Program is now accepting applications. Presenters: Jeff Whitman, M.D., Brad Black, M.D., Michael Romansky, J.D., Cathy McCabe, M.D., Elizabeth Nelson, Ph.D. Candidate, Bruce Maller, Regina Boore, MS, BSN, RN, CASC, Kevin Corcoran, COE, CPC, CPMA, FNAO, Maureen Waddle, Steve Sheppard, Albert Castillo, Jeff Eckert, AIA, and envisioning workshop teams from Eckert Wordell and Tekna, Inc.